When we last tuned in to the exciting adventures of Faraday Future, things were not looking so hot. The company was “effectively insolvent,” lawsuits were pending, and by the end, they were looking for money. Now, they’ve popped up again, and while they could still use a bunch of money, they’ve formed a joint venture with a Chinese company better known for once being the exclusive Chinese distributor of World of Warcraft. 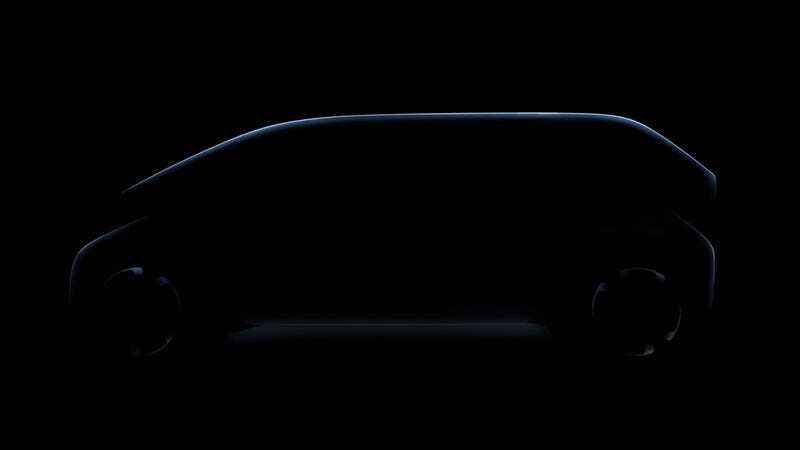 The company is The9 Limited, and, according to Faraday Future PR Manager Jacob Brown, they’ve formed a joint venture with Faraday Future to start a company to produce an all-electric MPV for the Chinese market. The9 put in $600 million dollars, and Faraday Future put in their Variable Platform Architecture, which was developed for their FF91 electric car. So far, there’s just that teaser image up there, which shows a sleek one-box design with what appears to be some very thin lighting units, front and rear. The MPV, which is being called the V9, has an odd, very pinched waistline that gives the minivan a look of two stacked volumes, and sort of reminds me of the Fiat Multipla. Unusually, I mean that as a compliment. · The joint venture company will manufacture, market and operate F9's new brand of Internet smart luxury electric vehicle V9 in China, a model for the Chinese consumer market according to the technology and design concept of FF 91, and other contractually agreed models. · The joint venture company expects to achieve an annual production capacity of 300,000 units in the future, and plans to achieve pre-production production and booking sales within 2020. · Ninetowns will provide a $5 million signing fee to Faraday’s future, and the remaining capital will be injected in phases after the relevant conditions are met. I guess it’s no more weird than if, say, Zynga and Tesla joined forces to produce EV school buses, or something. Would that be weird? I asked Faraday Future what this deal meant for the company—are they back in business, and solvent now, with that $5 million signing fee, and the other capital? Not really. I was told they still are “looking for a primary investor,” and this deal with The9 forms a new, separate venture that is not directly affiliated with Faraday Future, business-wise. The fact that the V9 will use the already-developed platform from the FF91 seems like a good step for Faraday Future itself, as a whole other entity will be prepping the platform for production, and those lessons and perhaps even equipment, factories, and more, could possibly be one day applied to FF91 production. Maybe. I guess we’ll see how this plays out.